Today, there is a great deal of content relating to so many different products and services on the internet. Every business is tasked with making their message stand out when it comes to marketing their unique capabilities. With so many people on the internet, whether on their phone or computer, audiences are becoming larger. In fact, there are nearly 300 million internet users in the United States. Almost 75 million more than just ten years ago. This many people on the web is a good thing and a bad thing. Even though there’s more people online looking for your product or service, there are many other businesses in your industry trying to reach your target audience. Creating relatable content for these potential customers will go a long way in outshining your competition. So, what exactly is relatable content? Simply put, relatable content provided by a business is any piece of information that the audience is interested in. It’s important for mortgage companies to create relatable content, so they can reach more homebuyers for loans. Easier said than done. In servicing customers looking to buy a home, lenders should understand the wants and needs of today’s homebuyer. Embrace the fact that today’s generation wants things instantly and the change in technology has advanced significantly over the last couple decades. Aligning your offerings to match the needs of your homebuying customers is a smart investment. This will pay off in satisfied customers, increased word of mouth, and better yet: increased revenue. It’s great if you set up a social media page or website that will help your business create more value for your customers. In order for your efforts to be effective, you must put in the time to find where your customers are online. Utilize the tools and various features of each social media platform to keep up with the trends of the evolving technology. If not, then the work you have done to make yourself visible online will not reach its full potential. Remember, keep in mind the good and bad things mentioned before about the internet. There are more people online, but there is much more content for them to view throughout the course of a day. Consistency is important in the world of business while communicating to customers, because they might not always see your posts. Making your message consistent over time through your page will gain the trust of your customer. What are the key pieces of information that a customer should know? Maybe you can ask if they know what documentation they’ll need to complete the loan. What are some things someone in the homebuying position will find helpful? For example, have you explained to the customer the savings difference between a 15 year and a 30 year loan? What are some articles or videos I could share that my audience will be interested in and find valuable? Ask yourself how you could add Q&A videos to help them through the loan process. What are some ways I can think outside of the box to provide value and gain interest from different customers? Ask yourself what your competitors are doing well and how you can do the same. General Electric is an example of an established brand that has embraced social media in an effort to relate with their customers amidst corporate turmoil. GE uses videos to showcase some of their innovations they are working on. They also use these videos to educate viewers about the many different products they manufacture. This year, GE released a series of YouTube videos highlighting their employees’ work. In turn, illustrating the positive company culture and values the company has as a whole. General Electric has been around for many years but recently was able to empathize with their customers on social media and communicate their messages efficiently. As a loan officer it’s important to keep the homebuyer’s needs and current trends in technology in mind. This will keep you competitive in the vast online community of competition. By putting in the extra effort, mortgage companies will have a better chance at reaching more homebuyers for loans. 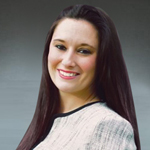 Siera Smith is responsible for overseeing day-to-day operations to support the growth of WebMax and add to the bottom line of the organization. Her main focus is on strategic planning and goal-setting while also creating, implementing, and managing key organizational policies, processes, reports, and standardizations.